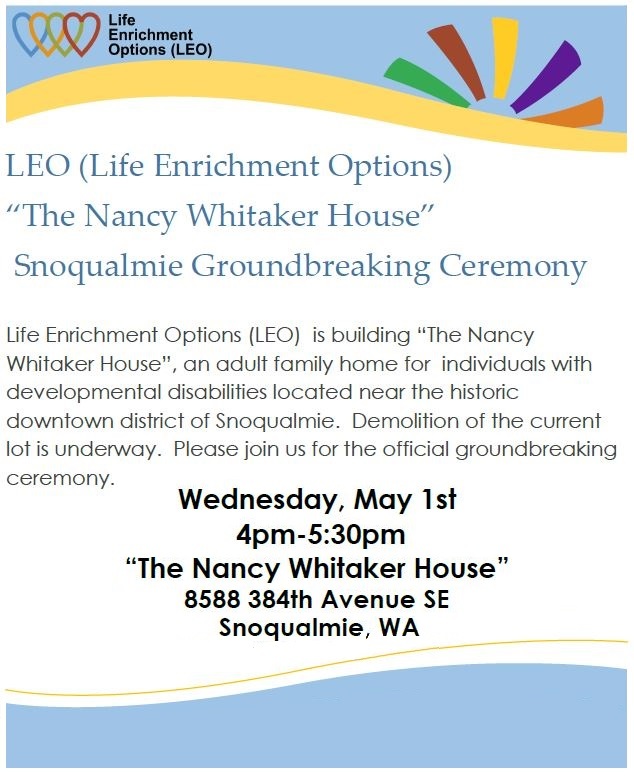 May 1st, 2019, is Groundbreaking Ceremony day for Life Enrichment Option’s Adult Family Home (AFH) #4. This AFH is in the Snoqualmie Valley. Please come celebrate this occasion and the hundreds of people that helped make it possible. See Adult Family Home Projects for construction details.